Sunbury Roar 1st XI have finished the season on a high after an eventful season with a resounding win over Lancefield. Highlight of the match was Heath Boffey’s 155 not out off only 127 balls. After starting at Sunbury in U12’s Heath played his first senior game for our club in 1995 and has played in the GDCA first grade competition since. This is the all-rounders first ever century. Sunbury CC are very proud of what Heath has achieved during his career and are delighted that Heath was able to pass this milestone with his family and friends present. 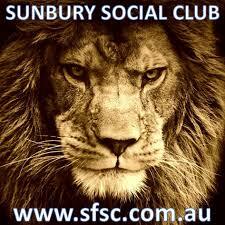 Next year Sunbury Roar are looking to further progress having given an opportunity to it’s young brigade of players. Sunbury Roar 2nd XI finish off the season going down to Blackwood however can hold their heads high after an indifferent latter part of the season seeing key players injured or unavailable. Stand out performance was Kyle Corcoran taking a handsome 5/44 in the second innings. Our 2nd XI will benefit from the seasons experience and look forward to getting back on track as our clubs depth improves. Still in the hunt for premiership glory our the Sunbury Roar 3rd XI and U15 teams. Just this morning Sunbury Roar U15’s easily accounted for the modest total of 98 after an early scare of losing two wickets at the start of the innings. A solid partnership from young guns Blake Watson (51 n.o.) and Daniel Caruana (28) steadied proceedings to see the team into the Grand Final next week. Sunbury Roar 3rd XI play off in the semi-final at Clarke Oval next week against Bacchus Marsh after a stellar season finishing in clear 2nd position on the ladder. Good luck to Ian “Geiser” Johnson and the boys as they pursue ultimate glory. Let us all get behind our U15’s and 3rd XI as they represent our club in the coming weeks and your support will assist them bringing home to Clarke Oval some well earned silver ware.